Ginette Meluso, Vice President of Business Communications and Executive Support at AmerisourceBergen, has impressive experience in communication strategy across a variety of sectors, including government, agency and corporate environments. With nearly 20 years of experience in the field, Ginette embraces continuous learning of all things communications and is an advocate for leaders and associates alike. She led her team in building AmerisourceBergen’s internal communications function from the ground up through an expansion that now serves an enterprise of 21,000 associates. Passionate about being in service to others, this creative, results-driven, strategic communication professional is definitely someone to know. We discuss her compelling insights in our Q&A. Steve Zenofsky, Assistant Vice President, Public Relations for FM Global, is an incredibly thoughtful strategic communicator and definitely Someone to Know. An award-winning marketing communications professional with nearly three decades of experience in the corporate, healthcare, education and non-profit sectors, Steve shares wonderful insights on how all communicators can get more critical work done while being trusted strategic advisors to leadership. Steve leads public relations at a $5.7 billion revenue company, which operates in more than 130 countries. Among many other things, he discusses communication predictions for the years ahead, the importance of brand experience, and the need to continually enhance organizational competitiveness while thinking strategically each step of the way. Gail Golden has been a highly sought-after psychologist and leadership consultant for over 25 years. With a Ph.D. in clinical psychology, she ran a fulltime psychology practice before quickly finding her passion in helping leaders, teams, and organizations lead effectively. Among many insights here, Gail helps us confront the unconscious biases we face as leaders, and challenges us to think differently about our pursuit of the perfect work/life balance. Most critically, Gail offers terrific guidance for curating the life you truly want. I’ve had the honor of working with Kimi Nishita, Senior Director of Corporate Communications at Intuitive Surgical, over the years. This passionate communications leader is a master at finding creative and innovative ways to connect employees to the company strategy and goals. With a love of learning and knowing the latest trends and best practices, she achieves success by combining cutting-edge communication strategies and tried-and-true traditional vehicles to reach and engage employees. She has an amazing ability to connect with people and build lasting relationships in work. I’m inspired by her energy and belief that life is too short to not love what you do, be surrounded by the best (including those she works with and her husband, two children and extended family) and great food! Learn more about this exceptional leader in our Q&A. Next up in our series, is a Q&A with organizational communications measurement pioneer and thought leader, Angela Sinickas, CEO of Sinickas Communications. I'm honored to know and work with Angela as we help organizations realize the value of strategic internal communications measurement. Long before measuring the business impact of organizational communications was best practice, she was not only implementing it, but writing and speaking about it. We discuss how her award-winning expertise in the measurement process goes beyond tactics and increasing awareness to changing behaviors that achieve better business results. All done through communication effectiveness research and strategies. 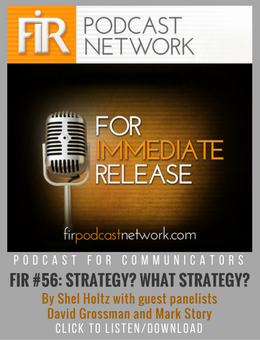 She also provides pressing advice for leaders on why they should conduct communication research even when resources are tight. Angela’s “ah-ha” insights are compelling and I’m excited to share with you our Q&A here. This innovative and award-winning strategic communications professional (and all-around great guy) is at the top of his game and is absolutely Someone to Know. Jack Segal, Vice President of Communications at Comcast Cable's Greater Chicago Region, discusses his role, tried and true strategies to reach and engage employees, and the instrumental ways communications plays a major role at Comcast. As a passionate advocate for the LGBTQ community and more broadly, for the importance of inclusion and belonging, Jack uses his skills and talents to make a meaningful difference in Chicago and in the communities Comcast operates. Christer Hellstrand, Program Director for International Aerospace Environmental Group (IAEG), is proud and passionate about what he’s accomplished in his career and life. From co-launching IAEG, which is advancing innovative environmental solutions for the aerospace industry, to his leadership at Boeing, to his love of cooking and culture, Christer is definitely Someone to Know. In our Q&A, we discuss his experiences and insights on improving communications – especially around environment, health and safety – what organizations he most admires and why, key advice for new leaders, and more. You might recognize this next business leader as the person McDonald’s brought out of retirement: Karen King, former Executive Vice President and Chief Field Officer for McDonald’s Corporation. She’s an exceptionally skilled leader whose ability to innovate for growth was instrumental in McDonald’s success over the years. I was lucky enough to work with Karen both at McDonald’s when I was there, and here at The Grossman Group where we partnered with her as she lead efforts to transform McDonald’s and define its new strategy. She’s masterful at getting things done through others and I’m honored to share our Q&A with you here. And a fun fact: She began her career at McDonald’s in 1975 as a restaurant crew employee in Lawrenceville, Georgia. Dean Rodenbough is a remarkable leader with a true knack for communication. Dean built a world-class internal communications function at Hallmark before taking on a new role as the vice president of external affairs at Hallmark Cards. Having served in various positions at both Crayola and Hallmark, Dean embodies the true spirit of the brand: he’s creative, kind, and brings passion and innovation to his work. I hope you enjoy his wisdom in our Q&A. What can business and communications learn from dance? Megan Booker is Global Manager of Internal Communications at AB InBev. Prior to joining AB InBev, Megan held a series of communications roles at Kimberly-Clark, and is a recent graduate of Georgetown University’s Executive Master’s in Global Strategic Communication. When she’s not helping shape the internal communication strategy for this global organization, Megan can be found pursuing another passion – dance. And, according to Megan, strategic communications and dance have a few things in common – I’ll let her tell you more.